As we make the late transition from outside to in, the students have been finding that there is great fun to be had in using all the garden has to offer. 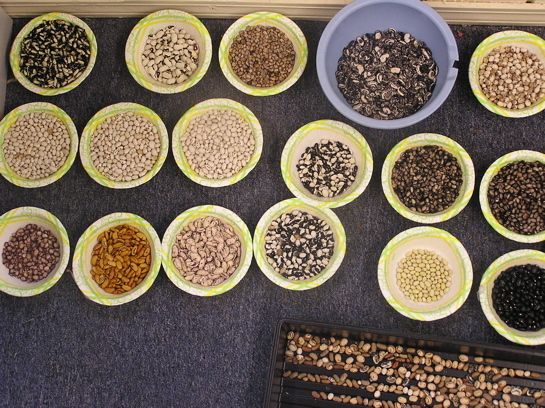 The beans and popcorn are drying into so many wonderful colors and shapes. Mr. Thurston asks us to be patient so they have time to dry properly….then we’ll be prepared to eat. Bean hole beans will be in the ground next week which is a tasty way to learn about our Maine heritage. 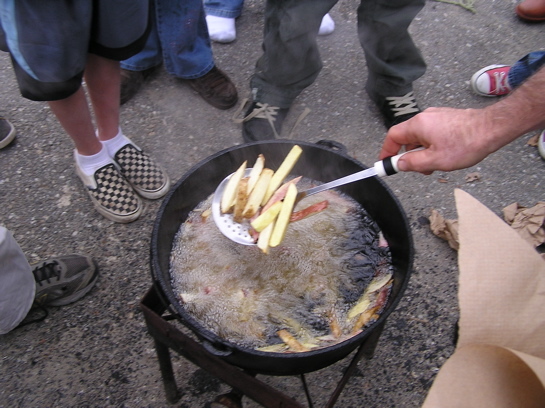 This style of cooking was both a favorite of the Penobscots and the loggers of the North Woods. After school last week, the Green Thumb club kids finished the work period by cooking up some garden potatoes in our bean lodge pot. 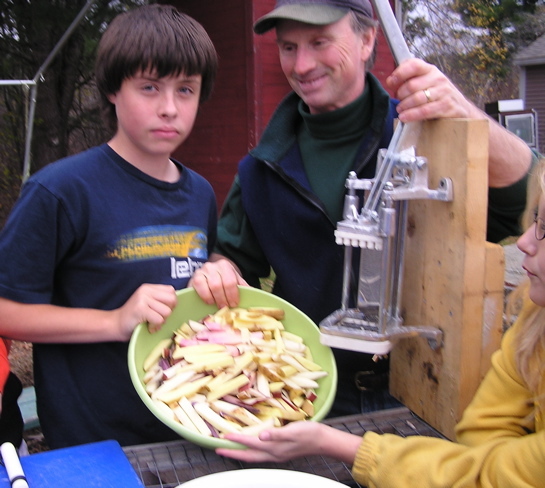 Each student took a turn dicing up the potatoes with our very cool slicer. Check out all of the different colored potatoes. We especially like the purple ones that Mr. Thurston found in our purple garden. This week Ms. Coleman, our favorite math teacher, set up four types of popcorn so that we could test the yield each variety gave us when cooked with a hot air popper. We popped 1/4 cup of each variety to compare amounts to Orville Redenbacher’s hybrid popping corn. The consensus was that it would be an accomplishment to come within twenty percent of their corn. There was some preparation needed for this experiment. Last winter the seeds were chosen and then planted just before school let out for summer. The plants were allowed to get really tall and dry before harvest. After a few months of drying on the ears, we dug right in and rubbed the kernals off of the cob. The kernals should be allowed to dry a few more months but we just couldn’t wait. THMS dark corn 1/4=4 cups. Note- survey results indicated that THMS Dark Corn was the only popcorn that did not require butter. The popcorn was really tasty. I can’t wait until the bean hole beans!!! Avary L.
MR.T, I can’t wait until we finish the new outdoor greenhouse. Mr.Thurston and a lot of the students have done a lot of work to it.